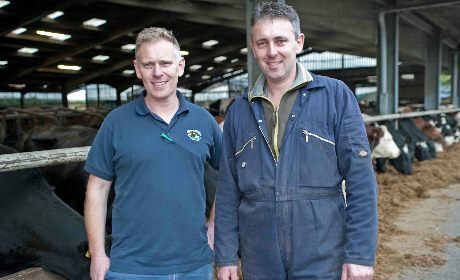 Situated on the fertile Fylde Coast, with views to the sea and North Wales, Derby Hill Farm has been in the Bradley family for 5 generations. It has been a working farm since 1850 and has seen many changes over the decades. It is now solely a dairy farm, producing and processing high quality milk and milk products. Our herd of dairy cattle is our pride and joy and their welfare is of upmost importance to us. We are proud recipients of the RSPCA Assured badge which is awarded to farms which meet their very high standards of animal welfare. We milk the cows here on the farm and process our milk in the adjoining building to produce a wide range of dairy products including milk, cream, butter and flavoured milk. These are delivered to our many thousand doorstep customers, hotels, restaurants and shops across the area. We also have SALSA accreditation (Safe and Local Suppliers Approval). This gives us full traceability on our products. In the late summer of 2016 we began making butter on the farm. We use our delicious double cream to produce a rich, smooth butter which is then hand patted in the traditional way using wooden paddles. The only ingredient we add to the cream is organic sea salt which gives our salted butter its subtle flavour. 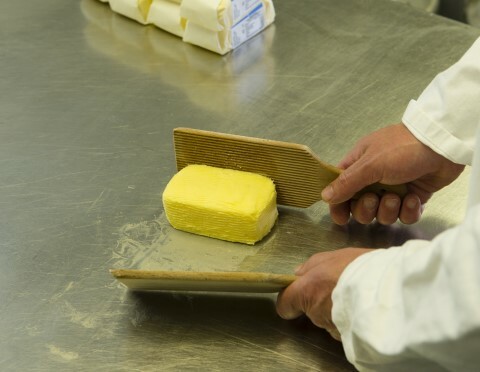 Over the past year our customer base has grown and we now sell our butter to many of our doorstep customers, confectioners, local restaurants and ice-cream makers in the area. Although not a new product anymore, our flavoured milk is certainly worth a mention. We use our delicious whole milk and add only natural ingredients to create a flavoursome, refreshing milk drink in 2 flavours – chocolate and strawberry. Our customers young and old love it! !